Shares of Valeant Pharmaceuticals are down sharply in morning trading Monday, amid ongoing turmoil over the embattled drugmaker's delayed financial results and its leader's health. Even news Sunday that CEO Michael Pearson is returning immediately after nine weeks recovering from pneumonia and unspecified complications failed to buoy Valeant shares. The shares are trading at less than one-third of their $263.81 high last August. That was right before Valeant's practice of buying rights to old drugs and jacking up the prices came under congressional scrutiny, and a few months before its questionable relationship with a drug distributor raised concerns about the accuracy of its financial reporting. Valeant shares dropped $7.18, or 8.9 percent, to $73.47 in morning trading Monday. Investors appear to be reacting to Valeant's announcement in a statement Sunday that is withdrawing all its financial forecasts. Nomura equity analyst Shibani Malhotra wrote Monday that while Pearson's return to the helm "is a positive," for the company, she's concerned by Valeant's decision to withdraw its 2016 guidance, which was confirmed just six weeks ago. Valeant, based in Laval, Quebec, also again delayed announcing its preliminary fourth-quarter and 2015 financial results, which were to be released Monday. The company cited Pearson's return to work as the reason. "Valeant won't turn around until it restores its credibility, and it doesn't help to bring back the CEO who created the questions about financial reporting on his watch and his handling of questions about Philidor," Erik Gordon, a professor and pharmaceuticals analyst at University of Michigan's Ross School of Business, wrote in an email. Pearson's convalescence, and the limited information the company released about his condition, aren't the only concerns dragging down Valeant shares. Last Tuesday, Valeant said it would delay filing its 2015 annual report with regulators while it sorts out its former relationship with the mail-order pharmacy Philidor. Valeant said it expected to lower reported 2014 earnings by about 10 cents per share and raise 2015 earnings by about 9 cents. That's because about $58 million in sales to Philidor were improperly recognized too early — when they were delivered to Philidor, rather than when patients received the products. Moody's Investor's Service on Tuesday revised Valeant's outlook to negative from stable, but noted that the amount of revenue misstated "appears relatively minor." Valeant cut ties with Philidor last fall amid allegations that Philidor created a network of "phantom pharmacies" to steer pharmacy benefit managers toward Valeant's more-expensive drugs instead of cheaper alternatives. 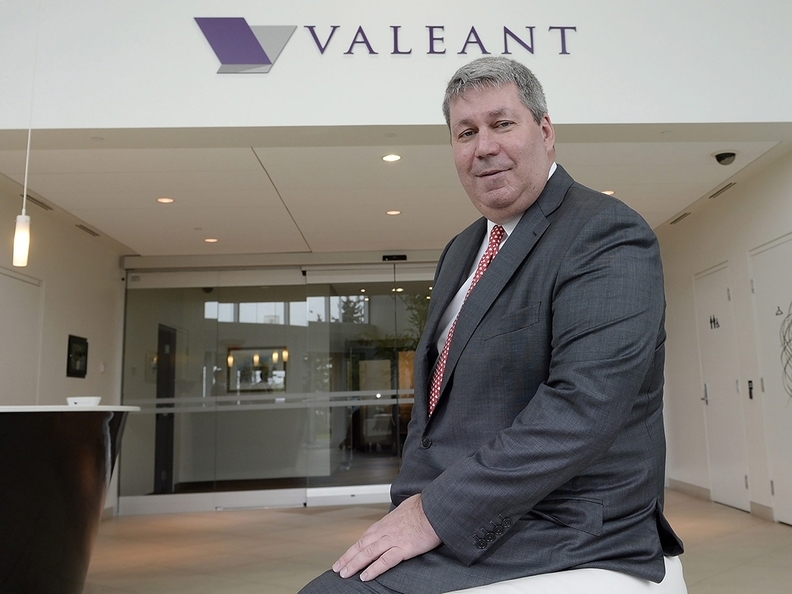 Responding to public criticism over its huge price increases for some products, Valeant's interim CEO, Howard Schiller, on Feb. 2 told a House committee investigating high drug prices that he froze all of Valeant's price increases when he took over in January. He said Valeant would aim for more modest price increases in the future. Schiller is to transition out of his temporary CEO duties but remain a member of Valeant's board. The board also decided to split the roles of chairman and CEO, both of which had been held by Pearson, and appoint Robert A. Ingram as chairman of the board. Ingram has been on Valeant's board since 2010 and previously served as chairman for a few months at the start of 2011.